Who needs leather? With synthetic materials weighing in as the lightest and most durable football boot material available, could it be that leather football boots are a thing of the past? Plenty of boots utilise a mixture of leather and synthetic materials to create a balanced piece of footwear. But, some of the best football boots are now made entirely from synthetic material, much to the relief of Australia’s kangaroo population. And here at FOOTY.COM we love a good pair of synthetic boots. We love them so much that we had to put them in a list and narrowed them down to our favourite five. This flashy little number - released as part of the Exhibition pack back in January - has been topping a number of lists recently. 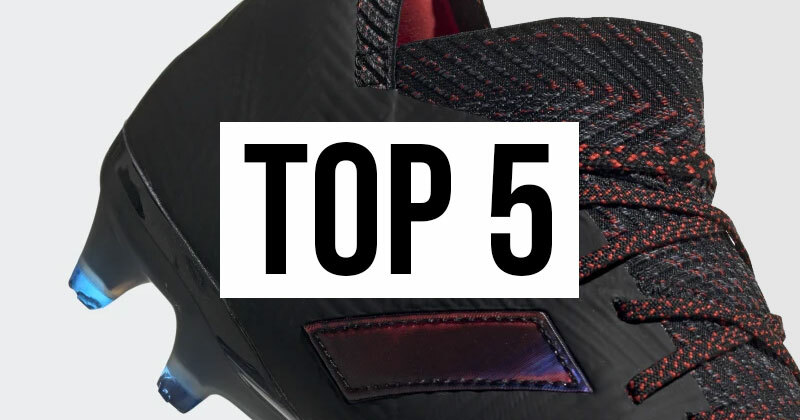 The laceless construction has proven to be a tricky challenge for a number of boot manufacturers, with few getting the premise spot on. The German manufacturers have done a stellar job with the Nemeziz 18+ with the 360 Agility Bandage upper. The bandage style construction is very light and soft but has a nice spongey touch to help assist touch and ball control whilst a Speedframe and heel counter hiding underneath helps the boot keep its shape and locks the foot into place. You can make a boot as light as you want but if it fails to lock the foot into place, injuries are bound to happen. The Nemeziz 18+ isn’t just lightweight, but your feet are secure when changing direction, keeping you safe from ankle injuries. How do you improve on the Hypervenom Phantom? Easily, you simply move the name around. We’re on to you Nike, we get that coming up with boot names can be a tricky affair, but you could have been a little more creative than simple cut and paste. Nike may be lacking in the name department, they do make up for it in boot tech. The Nike Phantom Venom is the ultimate striker’s boot, made with a full Flyknit upper that is constructed from different segments, each with their own texture, depending on where it is on the foot and what use it will be. The forefront is covered in a honeycomb texture for added shot accuracy and the instep is covered in striking fins to add spin and make your shooting and passing deadly from any distance. The foot is locked in using Flywire cables that run through the entire boot and join up with the heel counter. That flexibility and lighter weight you get from the synthetic upper is balanced out with the rigidity from the Hyper reactive soleplate which returns energy into your stride. 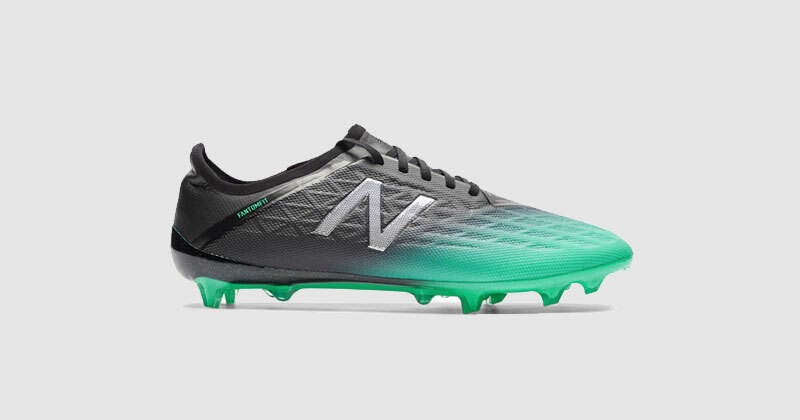 New Balance utilise synthetic materials really well in their boots, especially in the Furon V5. The FantomFit frame and a Hidraskin film layer are the two elements that make up the bulk of the Furon. The FantomFit frame works as a lightweight skeleton to the boot that locks the foot in, whilst the Hidraskin layer sits over the top, making the boot durable and water repellent. The two layers really complement each other well, giving the boot great durability whilst keeping it super light and giving great bare-foot feel for controlling the ball. This is a boot for the speedy forwards to help dominate, especially on the wings as the Furon’s outer is textured perfectly for whipping in crosses and long-range shots as much as it works for close control and speed. The Predator range carries a lot of weight on its shoulders. 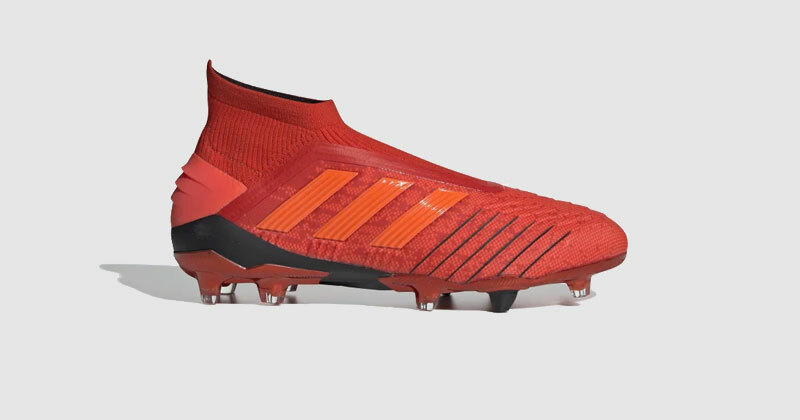 It has always been spoken highly of by some of the world’s best midfielders, so it is important that Predator boot tech continues to cement itself on the market as much as on the field. Synthetic materials are essential to achieve great laceless boots. With leather – even the softest K-leather – you don’t get enough space to get your foot in without the need for laces to lock the foot in. 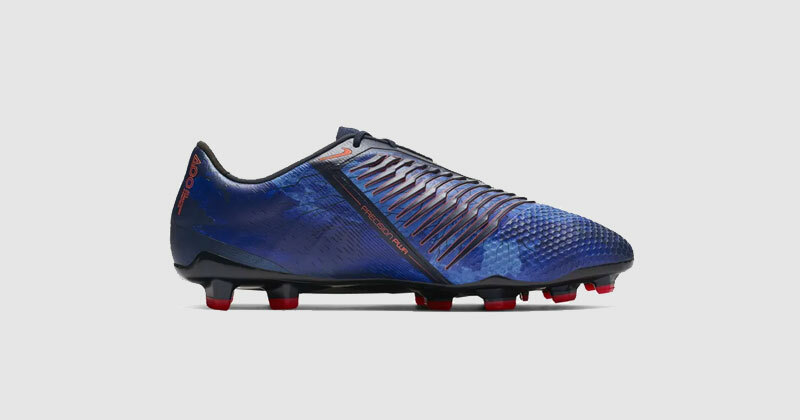 The Predator 19+ uses a PrimeKnit sockfit collar that your foot slides into nicely and the 360 engineered fit and anatomical curve makes sure the boot forms to your foot once it is in there. Whilst the Primeknit sockfit collar gives you comfort and a lighter weight compared to leather boots, it doesn’t give you much in terms of ball control and accuracy - this is where the Controlskin textile upper comes into play. With the injected layers of Controlskin outsole over the top of the Primeknit sockfit you are able to achieve that accuracy and close control that the original Predators have always been famed for. Making some of the thinnest football boots ever creates some problems. Firstly, you have to have synthetic materials in order to shed that weight, whilst somehow retaining enough durability so your boots don’t simply fall off your feet after a couple of games. 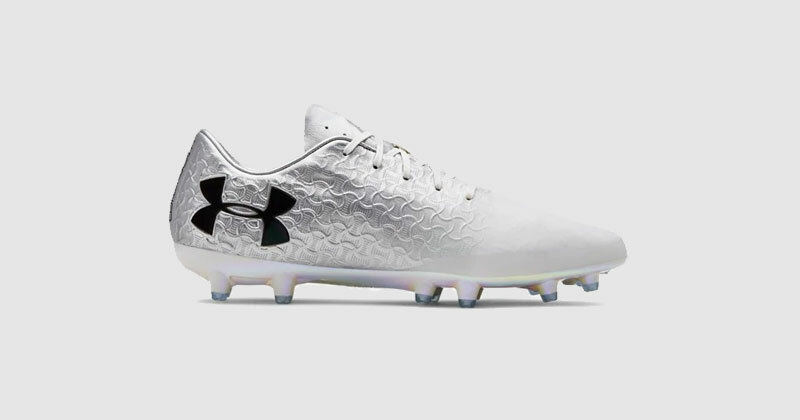 Under Armour’s Magnetico Pro has managed to achieve, possibly the closest bare-foot feel with the use of a UA FormTrue synthetic upper and a Clutchfit reinforcement. The 2-part upper combines to keep the weight off, provide that glove-like feel whilst still being able to provide stability that can flex under pressure. Sure, boot makers can make a light boot, but without the support element you’re essentially wearing a sock that is going to make it impossible to control the ball. The Magnetico Pro is probably the closest boot we’ve ever seen that lives up to the second-skin feel. When they are on feet you can barely notice them. When striking the ball, you notice how much they actually bring to your game. 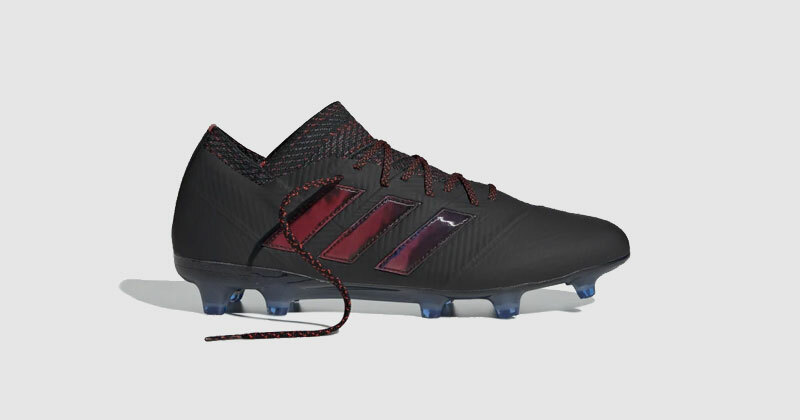 If you’re in the market for a new pair of football boots in 2019 then you can check out the best prices on all these synthetic football boots as well as many more right here at FOOTY.COM.